How to avoid the loss of some image areas while resizing? When you try and create a photo album to share it online, you need to resize a bunch of digital pictures so that they were of a necessary size. In this case some image areas might be lost while resizing. 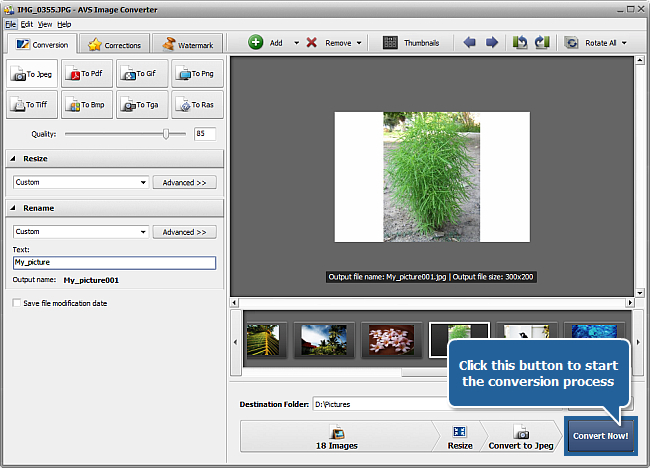 AVS Image Converter will solve this issue. 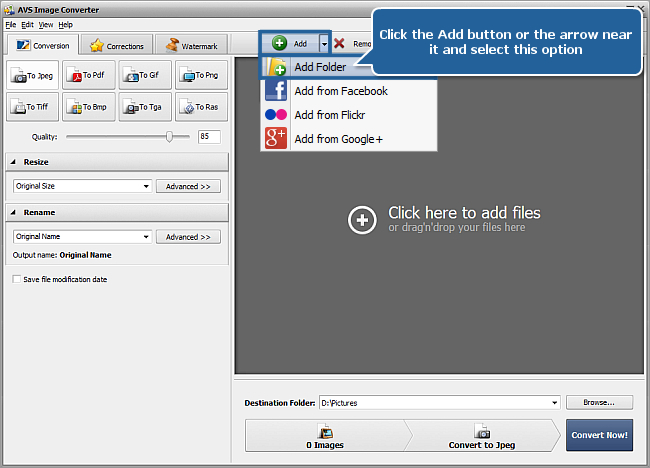 Using this program you can resize your pictures without the loss of image areas just following the instructions below. 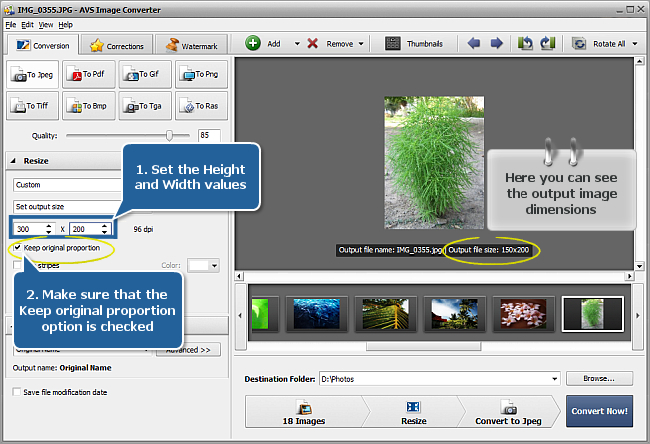 To avoid the loss of some image areas make sure that the Keep original proportion option is checked. 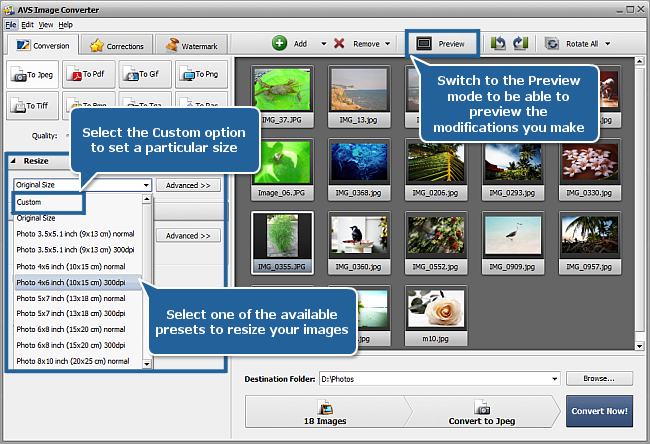 Your images will be resized without any distortion or image areas loss. 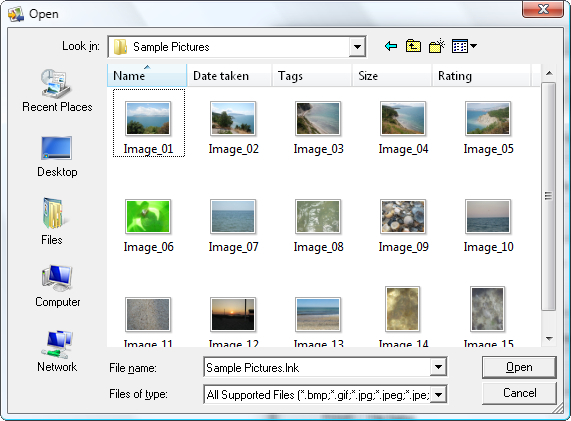 However in this case the image dimensions may be less than the specified ones because the value of one side will be set automatically to keep the image aspect. 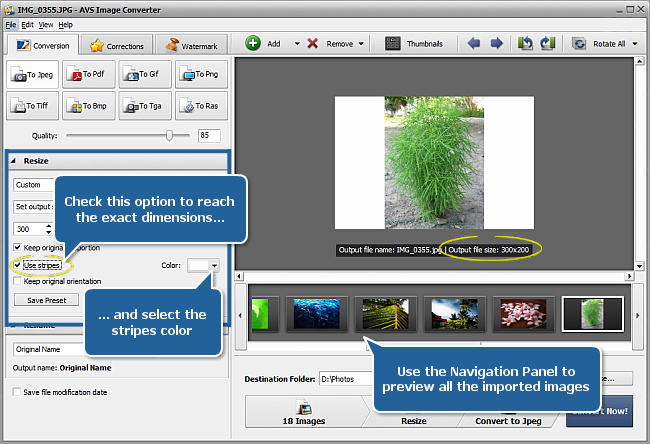 To exactly fit your images to a particular size check the Use stripes box in the Resize panel and select the necessary Color. 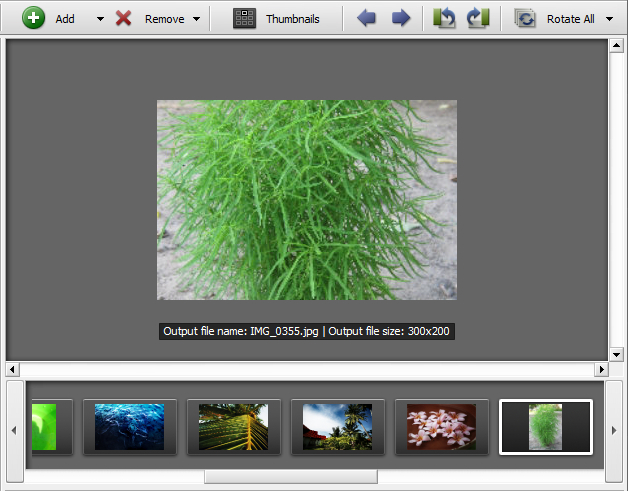 The stripes of the selected color will be added to your images to reach the exact dimensions. 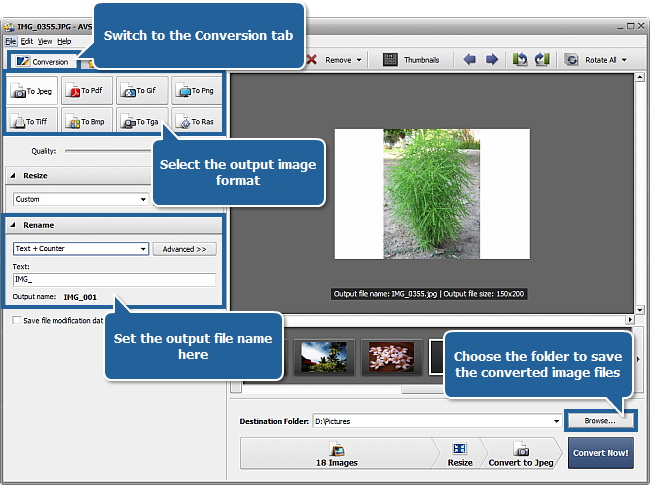 When the conversion is over you can open the folder with your resized photos and post them on the web site.